If you’re new to the concept of life and career coaching, you probably have questions about the results that you can expect. Before I tell you about the results that you could experience, let me first warn you. In order to realize the results that you say you want, you will have to change behavior patterns that are producing the results that have you stuck, procrastinating, and living short of your desired magnificent life. As a result of my coaching expertise and your diligent and consistent self-work, the results will be measurable, sustained, a well worth the investment of your time and effort. So, if you really ready to make a powerful and lasting shift, you can count on me to coach you through your journey to transformation. I can’t promise you it will be easy, but anything worth having is worth the effort and commitment. THIS IS A GENERAL LIST OF SOME OF THE RESULTS YOU CAN EXPECT FROM OUR COACHING SESSION AND MAY NOT APPLY TO YOUR SPECIFIC COACHING NEEDS. After having a clear vision of where you’re going, I work with you to create actionable steps, behavior modifications, etc. to move you closer to your goal. Knowing the steps to produce results and actually taking those steps are two different things. I show you “HOW” to progress toward your purpose and empower you to self-correct as you adapt to new techniques, tools, and personal development strategies. The gist of the accountability plan is to ensure that I deliver on my promise, with your permission. During our consultation or first session, I will ask you to define your “why”—the reason(s) you’re starting this journey. I will remind you of your “why” if you ever feel like quitting on yourself. I work with you to establish an accountability strategy. I want you to know. I am genuinely invested in and rooting for your progress. If your goal is to have more interview opportunities, I work with you to devise a search strategy, with interview preparation, resume review, etc. Level-up your marketability for optimal career advancement with salary negotiation strategies if applicable. I show you how to prepare for and ask for the raise you deserve. Life happens to all of us and when it does, we’re usually unprepared for the consequences. 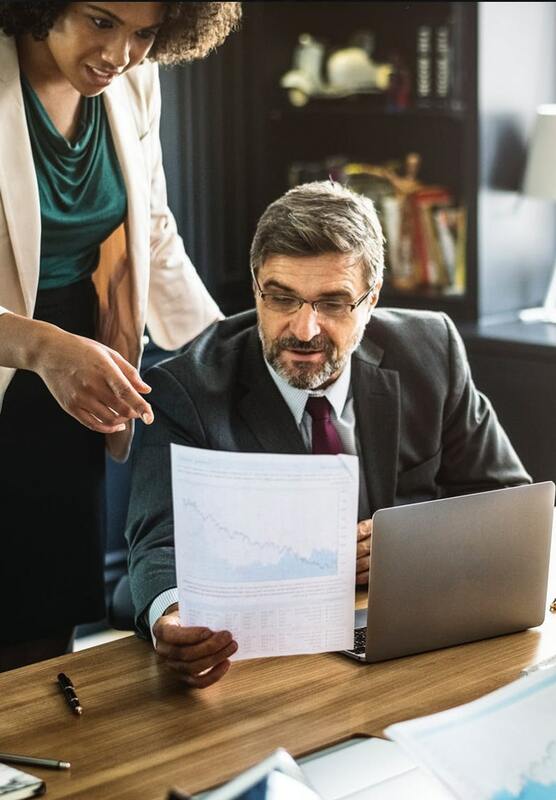 I help you work through corporate restructuring and downsizing with a focus on stability and alternative employment transitions, if applicable. Most would agree; the corporate sector is not the easiest landscape to navigate and can present challenges and barriers to entry, in particular, for those who experience marginalization in the workplace. The Pivot Group is intimately acquainted with the inner workings, cultures, hiring processes, and long-term growth opportunities within numerous mid-to-large industries. The effectiveness of a credible coaching practice is rooted in the success evidence and personal development of its coaching practitioners. Our life and career coaching are impactful because we continually self-invest through education and certification and consistently engage valuable leadership development. Our life journeys have afforded us the privilege of practicing and applying the techniques and strategies that we share. We have empowered ourselves through the expert coaching of others and can now empower others to excel in their personal and professional pursuits.